The new year is starting with a vroom for Hop Studios as we launch our newest news project: DC Commute Times! DCCommuteTimes.com provides news and traffic information for commuters in the metropolitan Washington, D.C. area. The D.C. area has the dubious honor of having some of the the worst traffic in the country. When I say it’s bad, it’s really bad. One recent study showed that the average commuter in this area—D.C., Virginia, and Maryland—spends up to 82 hours held up in traffic each year (PDF) as they struggle to travel between work, home, and every other place they want to go. We’re talking almost six hours of rush hour commuting. Being stuck in traffic, of course, leads to people to thinking about one key question: How can a local commuter reduce the amount of time they are spending in transit? DC Commute Times is the brainchild of Jeff Wong, who lives the horror himself as a resident of Arlington, VA. He believes real-time information updates are at least part of the answer. That might mean choosing a different mode of transport on really tough days, or taking a different route than usual, or just waiting a little while. Jeff’s goal is to provide that timely information commuters need to make these daily decisions for using roads, Metro, buses, trains, and even bikes. 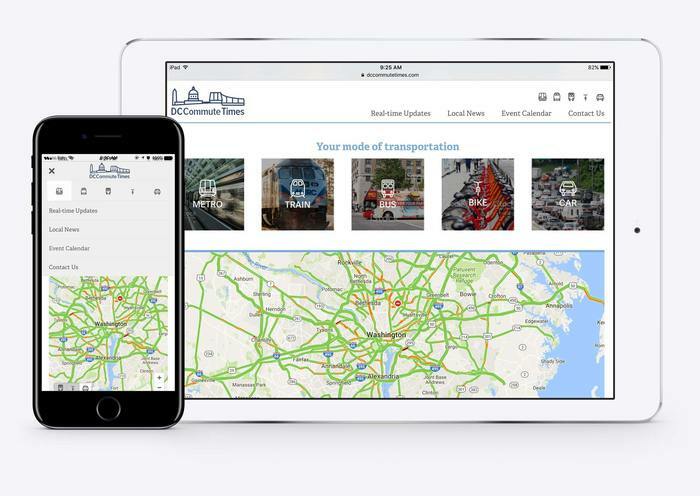 The newly launched website uses many local commuter resources to present timely updates and traffic maps, along with hyper-local coverage of the commuter experience. On the site, Jeff also presents editorial content on everything from tips to stay on the road during icy conditions, to managing the fluctuations caused by the holidays. If you’re a DC commuter, consider making DC Commute Times part of your daily routine before you head out the door! Happy new year 2018 videos are the great works of our employees that has created the best collection of videos and pictures. These videos and images are available free of cost for our viewers to share their happiness with their loved ones.